While many NBA fans would have been happy to see some of their favourite players not being called up to squads for the 2014 FIBA World Cup, this isn’t the case with every fan. It would be fair to say that there have been plenty of Washington Wizards fans that have been scratching their heads at the omission of John Wall and Bradley Beal. Wall has been in excellent form and the fact that he will now be sitting out the rest of the summer, after training with the Team USA squad at their initial training camp, is one that has left many Wizards fans in a bit of a quandary. In some ways, the fact that the player now has the chance to rest before the new season is a positive factor, hopefully minimising the risk of injury. You can bet that plenty of NBA fans, when thinking about the freak injury suffered by Paul George, were at least a bit relieved that it didn’t happen to a player at their club. However, there will also be the fact that some Washington fans will be taking this as not only a slight at their player, but a slight at their club. Being a fan of a basketball team doesn’t always depend on logic which means that some fans will be highly peeved at what has happened to their player this summer. There has at least been some good news for Wall this week, as it has been announced that he has signed a contract with Adidas for a signature shoe line, and it is likely that he will now be heading off to the Far East on a promotional jaunt. The summer plans of Bradley Beal have not yet been publicised but having two players so close to the final squad, but then seeing both players being cut from the squad, will be slightly annoying. 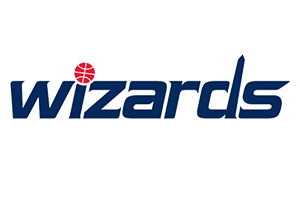 This doesn’t mean that Washington Wizards have no involvement with the 2014 FIBA World Cup though, because one player has announced that he intends to play in the summer event for Finland. 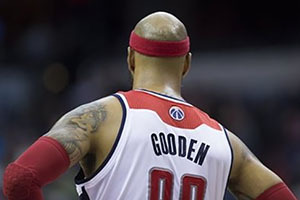 Drew Gooden has stated his desire to play for Finland as his mother, Ulla, is Finnish, with Drew’s dad meeting Ulla when he was in Finland playing basketball. Finland will have Gooden and Erik Murphy from the Cleveland Cavaliers in their squad so there is a slight level of NBA experience in the team. The Finnish basketball team is ranked as the 39th best basketball team in the world, so there is no real expectation on them at this tournament but if you are a Wizards fan or a Cavs fan that is looking to back a team at the World Cup, you may find yourself betting on Finland at the 2014 FIBA World Cup. There will be a great opportunity to see Gooden and his Finnish team mates at the FIBA World Cup, as they play their first match on August the 30th against Team USA. This is a daunting start but who knows, this may be the perfect time to catch their much fancied opponents cold.